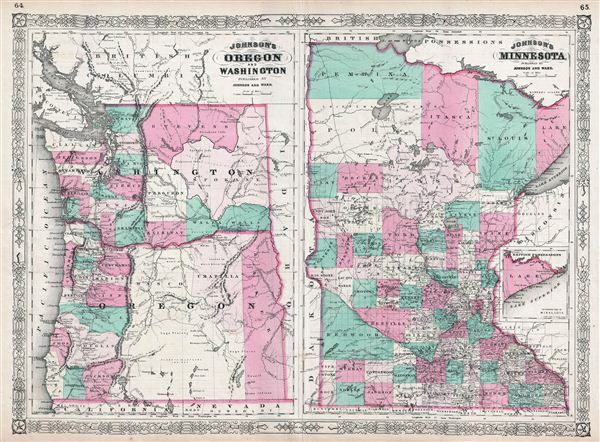 Johnson’s Oregon and Washington / Johnson’s Minnesota. Very Good. Wear and verso reinforcement along original centerfold. Text on verso. Some foxing and overall toning.